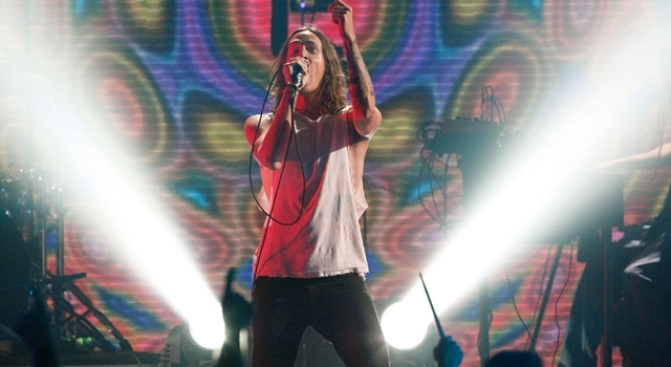 Incubus will be one of the acts playing the Outside Lands Festival. An Outside Lands Music and Arts Festival partner is donating 40 trees to help offset the environmental impacts of the festival and to help replace what was lost in a rash of tree vandalism in July that mostly occurred in Golden Gate Park, according to park officials. Elton Pon, a Recreation and Parks Department spokesman, said that between mid-May and July 23 at least 45 trees were felled or damaged in five separate incidents. On July 21, 15 young elms and one sycamore were cut down in the Music Concourse in Golden Gate Park, Pon said. The saplings appeared to have been sliced clean through with some kind of saw, he said. The elms were valued at $500 each. "The wanton destruction of trees in Golden Gate Park was disheartening to all San Franciscans and to park lovers everywhere," said executive director of the San Francisco Parks Trust, Karen Kidwell, in a prepared statement. The Trust and Friends of the Urban Forest have funded a $2,000 reward for information leading to the arrest and conviction of the person or people responsible. "We are thankful to Chase Freedom for their kindness and generosity and look forward to a rejuvenated Music Concourse area when these beautiful new London Planes are planted and our historic fountains are turned on later this summer," San Francisco Recreation and Park Department General Manager Phil Ginsburg said in a prepared statement. Chase is also providing financial support for four years of specialized care and maintenance for the trees. Chase Freedom, a credit card company and Outside Lands partner, will present the donation to park officials at the two-day long music festival at 12:30 p.m. today. The donation ceremony will be followed by a special presentation by artist Janelle Monae at 5 p.m. today in the "Chase Freedom Lounge."